And...Action! Interview with Cat Detective Buckley + Giveaway! 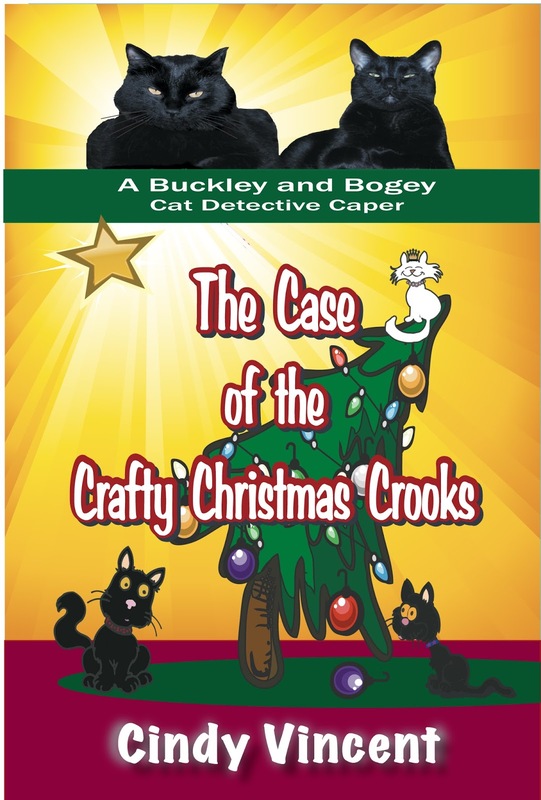 Buckley and his "brother" Bogey are real cats who inspired the fictional Buckley and Bogey Cat Detective Capers. Buckley is the "rookie" who's still learning the tricks of the trade from Bogey - and sometimes (well, much of the time) it's an uphill climb. But Buckley has a willing heart and an open mind, and he's been learning a LOT about the detective business. Buckley: Hello again, our wonderful friend, Amber! Holy Catnip! Thanks for having us here today. Hugs and wet nose kisses from Bogey and me. 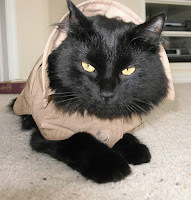 And yes, the Buckley and Bogey Cat Detective Agency has been very busy since we last spoke. Whew. We’ve had a couple of cases that turned out to be real doozies! Then, our newest mystery, The Case of the Clever Secret Code, took place just as everyone in the entire city of St. Gertrude was getting ready for the big Fourth of July celebration. That’s when famous movie star Steele Bronson rolled into town in his huge limo. Of course, it wasn’t long before the whole city was in a frenzy over the famous celebrity! Much to my amazement, Steele Bronson insisted that Bogey and I have starring roles in his newest movie, which he planned to film at our local library. After that, everything just went haywire, and we soon had our paws full with secret codes and hidden keys, as well as a whole bunch of history from the Revolutionary War. And it all played a role in solving our most complicated case ever. Especially when we quickly realized that there was something very wrong with the whole picture, especially the one that Steele Bronson was filming . . .
Amber: Wow! You've certainly had a lot on your plate (or in your cat dish, I should say)! For your latest case, how did it feel to meet a movie star and see a movie being filmed in your hometown? Buckley: Well, to tell you the truth, Bogey and I had never even heard of the man before. And we were pretty surprised by the way people reacted when they heard he was in town. Women were fainting and screaming and all kinds of stuff. Plus, everyone kept talking about how “hot” he was. Sure, it was late June, so I guess it was pretty toasty outside. But still, I had to wonder: If the man was so hot, why was he wearing a jacket? Bogey and I just didn’t see what all the fuss was about. Then we were even more surprised when he walked into our store with some kind of trophy, something he called an Academy Award. Plus he had a whole stack of glossy photos of himself. This seemed strange to me, since I’ve never met someone who walked around carrying their own pictures before! Speaking of movies, do you enjoy watching them when you’re not on the case? Buckley: Absolutely, Bogey and I like movies a whole bunch!! But we never actually watch them. We just like them because the people in our house usually rest on the couch while they’re watching the TV. And that’s the perfect time for us cats to cuddle up on someone’s lap and take a good nap. Even so, Bogey does watch a few movies from time to time, and I do like the special cat DVDs that have nothing but birds and fish. Our Mom puts it on every once in a while to keep us cats entertained. Amber: Sounds like our Christmas DVD that has lovely winter scenes and pretty music to enjoy in the background. I think you'd like it! In fact, I’ve heard you’re also a music lover. :) What do you like most about it? And which genre do you like most? Buckley: Oh yes, you’ve got that right! I love music a lot. It helps me to relax when I’m nervous about a really big case. I’m kind of a jazz cat at heart, and I especially enjoy soft jazz or piano music. My favorite music, of course, is the soundtrack from The Pink Panther. My ears always perk up when that music is playing! Plus, our Mom has been learning to play the piano, and Bogey and I really like to help her. Bogey sits on the seat next to her and I sit above the keyboard. We like to reach over and hit a few keys ourselves, every now and then. After all, playing the piano should be a family affair, don’t you think? Amber: I think you're quite right! It's fun to enjoy music together. Your latest case has to do with secrets and codes...which leads me to wonder about the secrets of cats. Is there anything cat owners should know about cats’ common thoughts and behaviors? Any secret signals or hidden codes that we often miss or misinterpret because we don’t speak your language? Buckley: Ha! I’m afraid I can’t reveal too much here, since us cats have kind of a code that we don’t let humans in on everything we’re up to. But I can tell you, us cats are really very good when it comes to working on a computer. And even though we can speak human language just fine, we always switch back to cat language when humans are around. Otherwise it might freak them out. Plus, most people don’t realize it, but cats are probably better at solving crimes than humans. That’s because we have night vision and an excellent sense of smell. Not to mention, we can sneak in and out of places without being spotted. But that’s all I can tell you. Sorry. 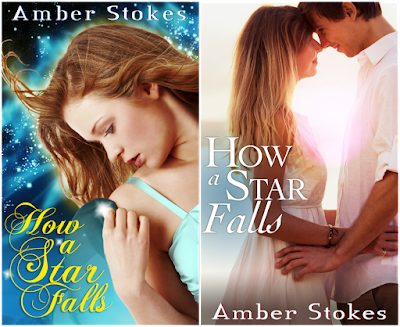 Amber: Fair enough. ;) Are you and Bogey working on any cases currently? Buckley: Right now we’re sort of recovering from our new book release. So we’re just getting caught up on our naps and running our nightly surveillance around the house. Still, Christmas is on the horizon and we’re expecting big things to happen. 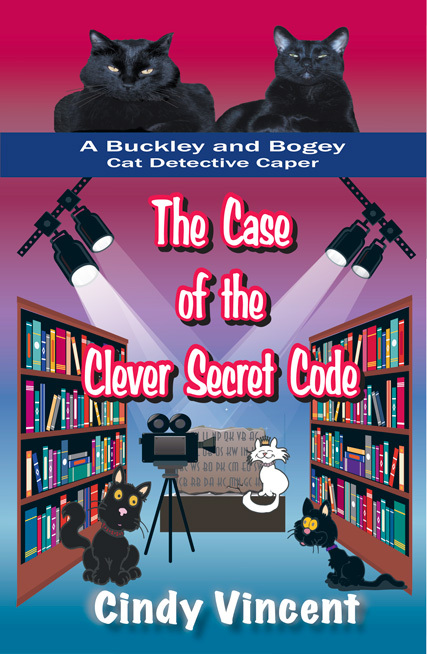 So our agency is ready to jump in on all four paws when a new case for the Buckley and Bogey Cat Detective Agency comes up! Holy Mackerel! Amber: You run across a lot of “bad guys” and scary situations while on the case. What gets you through the difficult times? How do you hold on to the hope that good will triumph over evil? Buckley: Wow, that’s a tough one! Because bad guys can be very scary, all right! But I learned a long time ago that when I’m in a pickle, it’s a good idea to rely on those who are bigger and smarter than me. For me, that’s my big brother, Bogart, and the cat in our house that we call the Wise One. Our Mom, on the other hand, talks about relying on God when she’s scared. She says He’s bigger and smarter than anyone! She says He will make sure that good does triumph over evil. Well, I have to say, that makes me a pretty happy cat! Amber: And rightly so! Your Mom is very wise. I think it’s awesome that your cases have been written down for others to read! Is there a particular age group that would most enjoy the stories? Buckley: It’s funny, but we originally wrote our books for kids ages 8-12. But pretty soon we found out that grownups were buying our books, too. So we usually say our books are for kids and cat-lovers of all ages. I guess lots of people just like reading about Bogey and me and all of our friends as we work to crack another case. Maybe it’s because we remind them of their own cats. Amber: I certainly enjoy reading about your adventures! I definitely think cat-lovers of all ages would find them to be sweet and entertaining. Now, this is a for-fun question, since your Mom is a friend of mine and has told you a bit about my books. :) My latest stories feature stars, bees, and trains. What are your thoughts on those topics? Buckley: Holy Catnip! I love all those things! And you sure picked some great things to write about! In my Christmas book, The Case of the Crafty Christmas Crooks, I got stuck outside one night. This was right after I’d heard about the Christmas story, and how people followed a bright star to find baby Jesus lying in a manger. So I climbed into the Nativity scene on our front yard and looked up at all the stars in the night sky. 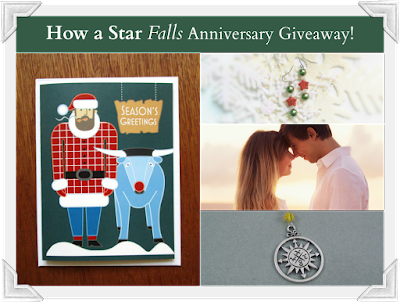 I tried to find the brightest one, and I tried to imagine what the Christmas star must have looked like all those years ago. It was such a beautiful night! As for bees, Bogey and I love to sit in our living room window and watch all the busy bees in our garden outside. They sure do like our flowers. And when it comes to trains, we always chase the train our Dad puts out at Christmas time near our big Christmas tree. We knock it off so he can put it back on the track again. We just know he really enjoys our little game. Before you go, do you have any parting message you’d like to share from the Buckley and Bogey Cat Detective Agency? We’re glad you took time off from work to join us today! Buckley: I just have to say, since I’m still kind of the rookie and Bogey is the pro in our agency, sometimes I’m a little scared when it comes a new situation where I’m not sure what to do. Sometimes I think life would be a whole lot easier if I just lazed around and took naps all day. But after a few cases, I realized how much I would miss out on if I didn’t step outside my comfort zone (as my Mom calls it), and try something new. I’ve learned a whole bunch of new skills because of it, and I’ve met wonderful people and cats, and I’ve even played a big role in helping to crack some very tough cases. So, I guess what I’m trying to say is, sometimes it’s good to take a leap of faith, even when it’s a little scary. Anyway, I sure would like to thank you again for hosting us here, Amber. Bogey and I (and our Mom!) 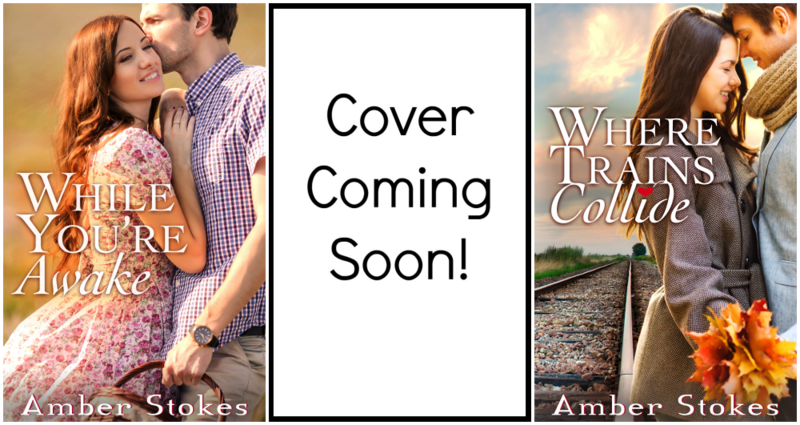 really appreciate all you’ve done to support our books. Hugs and wet nose kisses to you! You’ve been a good friend to us, and a real blessing. We’d like to tell you Happy Thanksgiving and Merry Christmas in advance! Holy Catnip! Amber: That's a great lesson you've learned, Buckley. Thank you for sharing! And a very happy Thanksgiving and Christmas to you, your Mom, and the rest of the gang! Fill out the Rafflecopter form below for a chance to win one of three autographed copies of The Case of the Clever Secret Code! This book would make a great Christmas gift for a cat-lover in your life - or a fun treat for you! 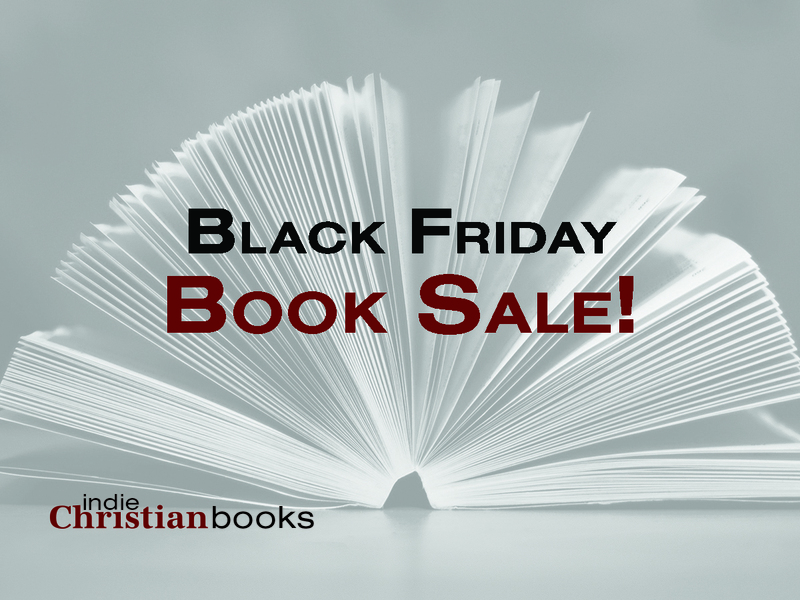 When I was told about the opportunity to join with fellow Christian indie authors to create an epic group Black Friday sale, I couldn't resist! And the cool part? 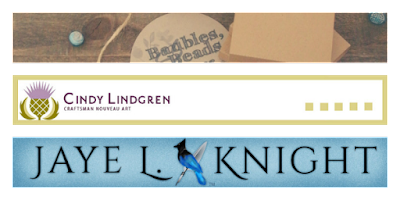 You get to help us decide what sorts of deals/offers to share at the end of this month! 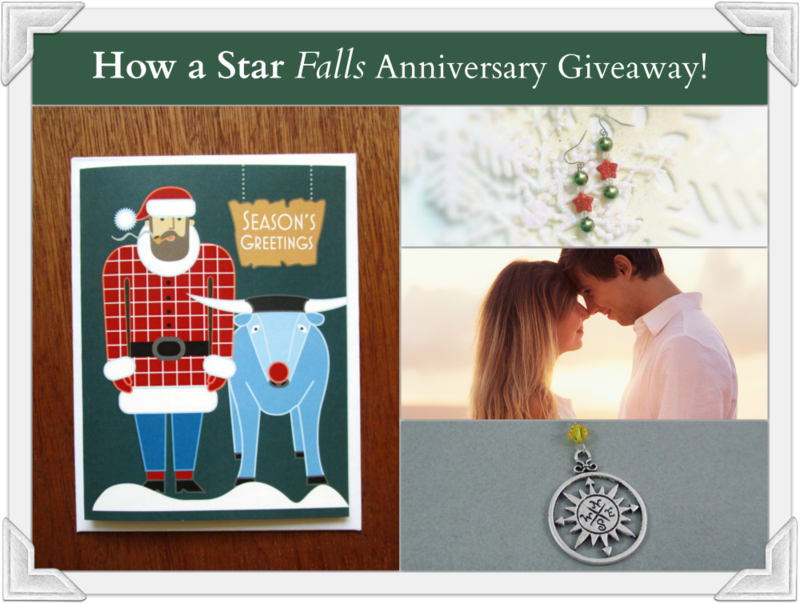 I've been getting a few things in place for a bookiversary celebration on November 18th - the one-year anniversary of the release of How a Star Falls! Woot! You see, I really want to draw attention to the audiobook version of How a Star Falls. It's my first audiobook, and I really, really loved how the narrator interpreted Derrick's voice and brought the story to life. :) It would tickle me pink (like the shirt I'm wearing in the pics above!) to see the audiobook get a little extra love during the anniversary celebration. To that end, I wondered if any of you would be interested in doing a listen-along? Kinda like a read-along, but with an audiobook? Since the book is only two hours long when read aloud, I imagine a week of less than 20 minutes of listening per day would do the trick. You could listen on the way to work/school, while eating a meal, right before bed...pretty quick and hopefully fun. :) We could chat about the little snippet of story each day, our thoughts on the narration, our own dreams and memories the scenes bring to mind, whether or not we agree with Derrick's taste in music, what we like/don't like about the beach, etc. What do you guys think? I could see this starting around the 15th or 16th maybe, and lasting for a week? Looking forward to celebrating the bookiversary with you in a couple of weeks! P.S. 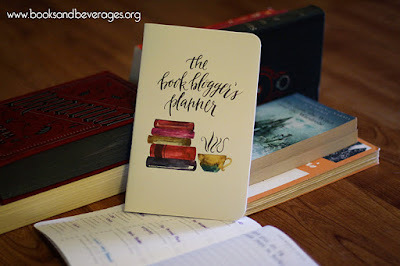 Fellow bloggers, have you heard about the new Book Blogger's Planner? It's available for pre-order now, and it sounds just fab! (I've already got my copy secured. ;)) Learn more about the planner HERE and about Jamie's new Shoppe opening in December HERE. It sounds like such an awesome endeavor! As Rapunzel acclimates to life in a new city, she uncovers a mystery that will forever change her life. In this Rapunzel story unlike any other, a world of secrets and treachery are about to be revealed after seventeen years. How will Rapunzel finally take control of her own destiny? And who will prove faithful to a lowly peasant girl with no one to turn to?" I enjoy Melanie Dickerson's blend of adventure and fairy-tale favorites. 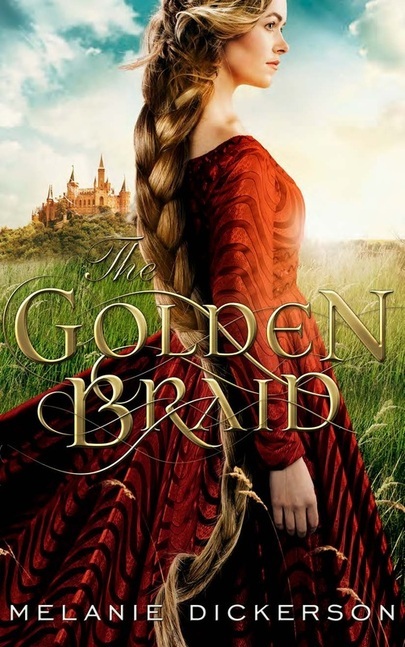 The Golden Braid doesn't completely turn the story of Rapunzel on its head, as there are a lot of familiar elements embedded in this retelling, but she does take it on a merry dance with some fun twists (including connections to her previous retellings, especially The Princess Spy), unique personalities, and a good cast of secondary characters. Of course, it's Rapunzel and Sir Gerek who steal the show! Well...and Rapunzel's mother. The three of them form a complicated braid of emotions and shifting loyalties. 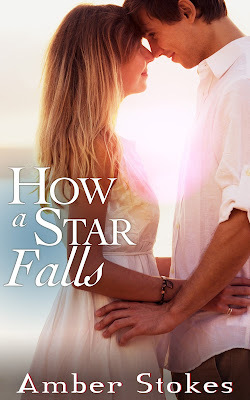 From their first danger-filled introduction on the road to Hagenheim, to the bitter, suspense-filled end, their story is one of secrets and suspicions. I'm a little torn about the middle of the story. Part of me would have liked even more glimpses into the blossoming friendship and romance - more time with the hero and heroine together. Another part of me would have liked a bit more "new" tension in the outside circumstances (which is only a potential problem for those who are familiar with the plot of The Princess Spy). But still, there's a continuous, underlying thread of suspense that's unique to Rapunzel's situation, and it is interesting seeing one story's plot from another character's point of view. This latest retelling from Dickerson has a very tender romance when all is said and done, and for that, I say bravo! By the end I was definitely rooting for the hero and hanging on for the crazy ride on the road to a fairy-tale-worthy resolution. There's a sweet message about love seeing beyond social status and never giving up while there's still hope. Fans of Dickerson's writing and sweet fairy tales with a dash of danger should enjoy meeting the girl with the golden braid.